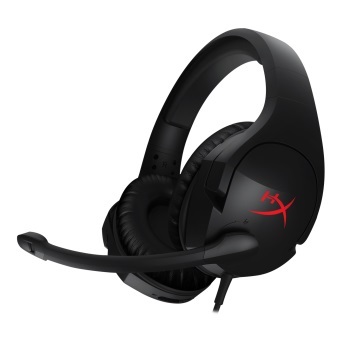 Fountain Valley, Calif. – Oct. 3, 2016 – HyperX™, a division of Kingston® Technology Company, Inc., the independent world leader in memory products, solidifies its commitment to creating quality gaming gear for everyone with the release of the HyperX Cloud Stinger™ gaming headset. Designed to make even the most casual gamer feel like a pro, the HyperX Cloud Stinger features HyperX signature memory foam and 50mm directional drivers to deliver a comfortable, high-quality sound experience at an affordable price. With optimal audio performance and sound quality, the HyperX Cloud Stinger ensures crisp and clear audio to help gamers quickly locate rivals for gameplay advantage across platforms. HyperX Cloud Stinger has multi-platform compatibility out-of-the-box with PC, Xbox One™1, PS4™, Wii U™ and mobile devices2. 1May require controller adapter (adapter sold separately). 2Compatible with devices with CTIA standard connectors.